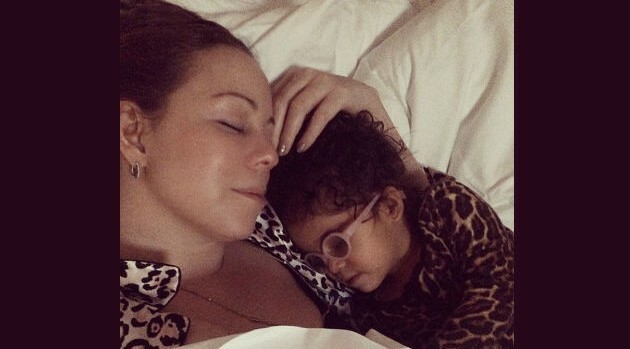 Image Couresy Mariah Carey Via InstagramMariah Carey has already stated that her twins Monroe and Moroccan will appear on her upcoming album, due out in May. Now, she’s giving a bit more detail about what, exactly, their contribution will consist of. In other Mariah news, she and hubby Nick Cannon have removed their mansion in Bel Air, California, from the market only four days after listing it for just under 13 million bucks. The Los Angeles Times reports that it’s possible the couple didn’t realize the attention that the listing, which was tagged as a “celebrity estate,” would attract. The mansion features nearly 12,000 square feet of interior space, including seven bedrooms, nine bathrooms, a basketball court, a gym, a home theater, six fireplaces and a music studio. Outside, there’s a pool, a putting green and parking for more than 20 cars.